A difficult film. I went back and forth while watching it about whether I liked it. It certainly has effective performances and can be moving, but sometimes it is just so much, relentlessly beating you and its character up. It isn’t afraid of being over the top and for the most part I think it is to its advantage. This movie takes more or less the essence of a kind of recent cinema that gets on my nerves – protagonists that are built for the audience to hate (especially overbearing white males), films about creative types trying to make it (especially in NY), Shaky camera work – but actually made a pretty good film with it. I think the biggest difference was the fragmented nature of its focus. Generally these movies come across as self-pitying and self-loathing, and maybe this is at times too. But take the situation of a man hurting a woman. This is usually played up as flawed, but ultimately romantic. He does whatever he does, because he just can’t help it, he is a complicated creature. We see her, she is hurt, she is helpless. Everything in her is dependent on him. Then we are back to him. He moves on. He is alone and hurt too, but too complicated to show it/do anything about it. Here we get this set up too, a couple of times, but then we stay with her. we see the real complications of relationships. that she does need him, but also doesn’t and vice versa. 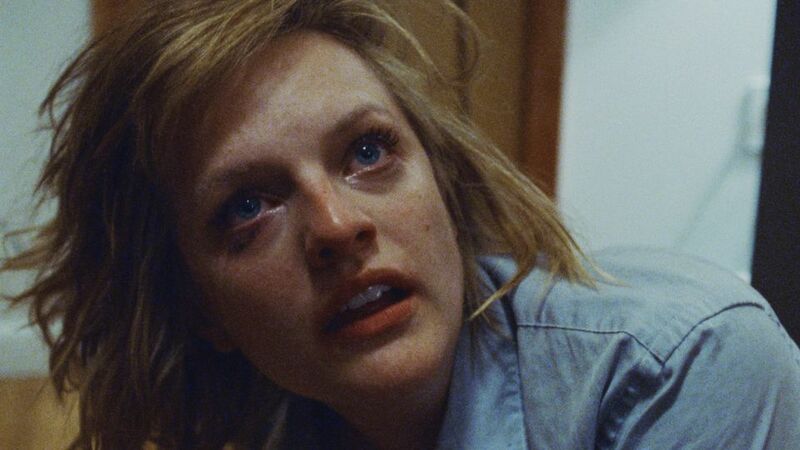 the section in the middle where we just stay with elizabeth moss for 10 minutes is the best part of the film.